Diamond Quality Services is proud to serve the Argyle community! Please call us today at 817-481-1786 to consult with our home comfort specialist. 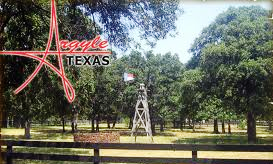 About Argyle, TX - Happy to be your hometown Heating & Air Conditioning Contractor! The city of Argyle is located in Denton County, Texas, approximately forty miles northwest of the Dallas/Fort Worth Metroplex. First settled by Europeans in the 1850s, Argyle is currently home to approximately 3,200 residents who enjoy the quiet rural setting and beautiful seasonal weather that bedecks the region with hot humid summers, warm winters, and delightfully moderate weather during spring and fall. Argyle’s small town atmosphere and laid-back lifestyle make it a great place to live and raise a family. The city is served by Argyle Liberty Christian School and the Argyle Independent School District, and takes great pride in the accomplishments of its own Argyle High School marching band, winner of five state marching band titles! The city is home to the Argyle Bluegrass Festival, held annually each March that features top bluegrass bands, arts and crafts, a youth talent showcase, bluegrass learning center, and more! Argyle’s down-home charm and convenient proximity to the numerous amenities of Dallas and Fort Worth make it a great city for residents and visitors alike!